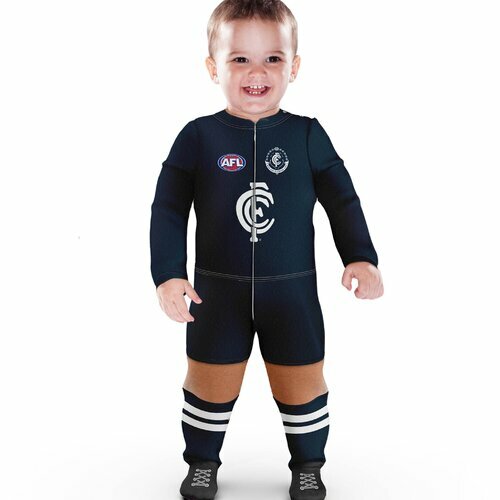 The 100% cotton Footysuit is an all-in-one baby jumpsuit designed to make your infant look just like a Blues footballer. Both the Blues and the AFL logos are printed on the garment to ensure there is no rubbing on the inside, keeping the young one happy and comfortable. So get the little one started early as a Blues supporter with the Original Footysuit ! !